On Monday, I was due for a routine check-up with my skin doctor. I was very tempted to cancel the appointment, as it had only been three months since my last skin check. However, I work for an after-hours GP organisation named House Call Doctor. Only recently, one of our doctors alerted a patient to a malignant mole on her back, that turned out to be melanoma. With this particular case in mind, I took the extra time to attend my check-up. I’m so happy that I did! After surveying my skin, the doctor asked me to come back for an urgent mole removal by the very next day. Come Tuesday, I had 4 numbing injections and 3 separate moles scraped from my right arm, right leg and lower back. As you can imagine, each removal felt a little painful despite receiving a local anaesthetic. I was very worried that I might be one of the growing number of Australians impacted by melanoma. 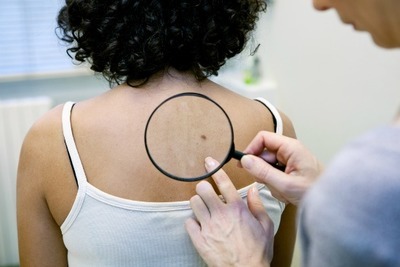 Melanoma can grow very quickly, and can become life-threatening in as little time as six weeks. Fortunately, my doctor advised that since it hadn’t been long since my last check up, any malignant moles could be safely managed. The scrapings from each mole have been sent to a laboratory for further testing, and I should have final results within a number of days. In each case, early detection has been the key to protecting my skin. I was lucky to have an attentive and thorough skin doctor, but I also took the time to be proactive and receive regular check-ups. In our busy lives today, it’s so easy to put-off something like a skin check. However, taking this extra time may just save your life! At least two in three Australians are diagnosed with skin cancer throughout their lifetime. My advice to everyone reading this, is to consult with your GP or look for bulk-billing skin clinics in your local area. Health Direct is a government funded website that can connect you with medical practitioners close to home. Have your skin checked regularly, as it may prove life-saving!